We will be doing our first ever Coffee with a cop in our store front on May, 20, 2018. We will have our friends from US LawShield and a law enforcement professional on hand to help answer your questions on concealed carry. If you have ever had a question as far as what to do during a traffic stop, how to make a proper 911 call, what to do AFTER you use your firearm in self defense? We can help you answer these questions and more about concealed carry and the law during this free seminar. We will have donuts and coffee available for all who attend! Just RSVP on our facebook event page to secure yourself a spot. Here is our gun show schedule for the 2018 calendar year. Being a dealer in what is often referred to as “Class 3” firearms (they are actually title 2 firearms, the class refers to the type of SOT a dealer has.) we get a lot of customers that are curious about purchasing a suppressor, short barrel rifle, or even a machine gun. However the biggest thing is that they are terribly informed about the whole process, and believe it to be far more intense than it really is. In reality the biggest thing with purchasing a suppressor, or other title 2 firearm is the wait time for the process to complete. Now a bit of a disclaimer here, some states don’t allow all devices, or might have some additional registration processes involved, so what we are giving you here is how the process works in most freedom loving states, such as ours here in Virginia. Check with your local NFA firearms dealer to see how the process might be different for you. Also note the process might change a bit from when this was written depending on laws that might get passed. When you go to purchase your short barrel rifle, suppressor, short barrel shotgun, or Any Other Weapon (AOW) the process is going to be the same for them. You fill out what is called a form 4, this is a form that requests the transfer of such a device to an individual, trust or other legal entity. When you fill out the form 4 with your dealer your going to choose between filling it out as a trust or as an individual. There are advantages and disadvantages to each of those that we’ll get into in a bit, but know that either way you’ll have to provide 2 passport style photos and a set of ATF finger print cards. Along with the form 4, a payment directly to the ATF must be made, for most NFA weapons you are looking at a $200 fee, but for Any Other Weapons (AOW) they are $5. Once the paperwork is sent in, the fun begins; all you have to do is wait. Processing times vary depending on surges in the market, but they generally are going to take a couple of months. During this time the ATF will do a background check to see if you are eligible to get the NFA device. This is the other aspect people get overly worried about… but it’s really just the same background check as to when you purchase your firearm over the counter normally. It just takes longer because there are so many applications, and so few people who can process them. Laws were enacted under former presidents to keep the number of ATF employees who process such paperwork limited to a set number. Making it a bottleneck to get the paperwork done. So your not waiting for something crazy to be done, just for paperwork to be physically processed. When that paperwork is complete on the ATF’s end, they send out a tax stamp to the dealer you did your paperwork with, who will call you up to come by and pick up your suppressor or other device. At which time they will have you do another background check like you normally would for any other firearm to pick it up. It’s just that simple, and there really is no other catches to it all. There is sometimes a bit more work on the dealer’s end to process a machine gun, and in some states some paperwork that has to be done for the individual on them, but it’s not alot more. You don’t have to keep the original tax stamp on you at all times, a copy will suffice, as long as you still have the original in a safe location. If you move you must notify the ATF that the NFA device has changed locations. You can’t just sell a NFA device to someone outright without them completing a form 4 to transfer it from you. A tax stamp is not a license, just a tax that you pay on purchasing that specific category of firearm. Owning a suppressor or short barrel rifle is fairly easy and straight forward to do, and doesn’t require a burden of any sort on your end besides safely storing your tax stamp. Many people have older firearms, and even sometimes a newer firearm that looks a bit rough, or maybe even just traded for another firearm, something that you just don’t really know the true condition of the firearm as it was used by someone else. Many times the firearm is just fine, but regardless the firearm should be inspected to make sure it is operating correctly, and safe to fire. Be this something you do yourself or you bring in for us to look at; there are a few key things to check on your newly acquired firearm before shooting it. Make sure the firearm is unloaded before you inspect it! This should go without saying, but the number of times we have customers bring in loaded guns for us to look at is too damn high. So remove the magazine from the firearm, and check the chamber to be empty before proceeding. Check your barrel to make sure you can see light at the other end. It doesn’t matter if it is grease, dirt, or a bullet stuck down the barrel, it will create back pressure and blow up. Your gun doesn’t care why or what it’s plugged with, just that it is. If the obstruction doesn’t come out with a cleaning patch or a jag, then bring it in to us to investigate and attempt removal. Incorrect removal techniques on obstructions will only cause more damage to the firearm. The firearm must work correctly to fire as well as be safe to use. Check that the bolt, slide, or charging handle operates freely and without hangups or hesitation. Make sure that the safety engages and that the firearm does not fire with the safety turned on. Make sure that attempting to fire with the safety on does not disengage the safety as well. Ensure magazines fit and remove from the firearm correctly. Look for marks and indications that the fire control components might have been modified or tampered with. Sometimes people will attempt to do a trigger job or lighten a trigger to a point that the firearm can become unsafe. Part of this check should be engaging the safety on the firearm and giving it a good solid thump. Weakened fire control components will often discharge the firearm when subjected to a solid bump or jarring. A gun that is unsafe no matter the age or condition is unsafe for firing or use, and should be corrected or made unable to fire to prevent a potentially deadly accident from occurring. If you can see pitting, deep rust, cracked metal, or other signs of metals stressing… chances are it’s not safe to shoot either. Some pitting is alright and can allow a firearm to still be shot and used, it’s a matter of where, on what, and how deep the pitting is that can change a simply neglected gun into an unsafe gun. If you see any signs of the above, you should have it looked at by a gunsmith. Even a cracked stock will worsen unless you attend to it, just like the metal on the firearm. No one wants a gun to blow up on them, and no one wants a sharp piece of wood from a broken stock going into their shoulder or face when it shatters under recoil. The number of firearms that have been reworked, re-barreled, or re-chambered and don’t have the correct designations on them is surprisingly high. It’s not uncommon for us to see an AR-15 or even old hunting rifles with no markings on the barrel for it’s chambering. Many times if it is marked it is going to be as marked, but it doesn’t hurt to check the head-space to make sure that it is safe to fire as well as give you confirmation that it is as advertised. If a barrel is not marked, usually the only way to verify the chamber dimensions is to do a cast and take measurements to confirm what it is setup for. Specialty metals are used specifically for this purpose so as to not cause damage to the firearm and to reduce shrinking (or expansion) of materials to make sure you get the most accurate measurements possible for cross reference. There is alot more details to go over when inspecting a firearm as well. But those are all key things needed just to make sure the firearm is safe for use. 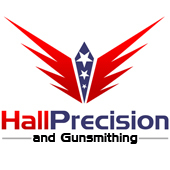 Other things can affect performance, behavior, or even show indications of a firearm that is on the verge of failing that an experienced gunsmith is going to be able to identify. Signs of where someone else got into a firearm and might have tampered with something, stress indicators, lockup tolerances and slop within components. All indicators that the firearm is having trouble in a specific area that is far too much to go into for a post on the internet. If you are ever unsure if your firearm is unsafe to fire then you should bring it by an experienced gunsmith for a proper inspection. Most will offer that as part of their cleaning service to make sure you are getting a firearm back in your hands that is safe to fire.